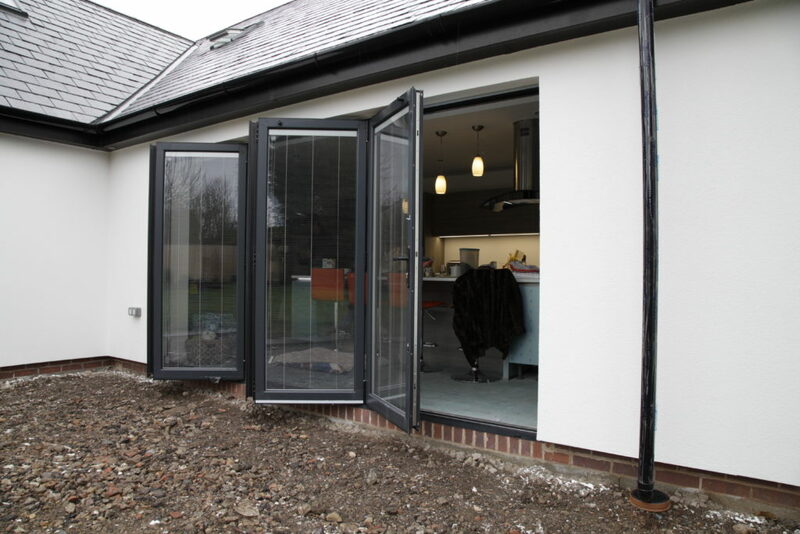 D&M Windows supply and install Bi-Fold Doors in the Nottinghamshire and Leicestershire area. They are created from high grade materials and are designed to last while offering exceptional security and safety, impeccable weather shielding, and stunning great looks. 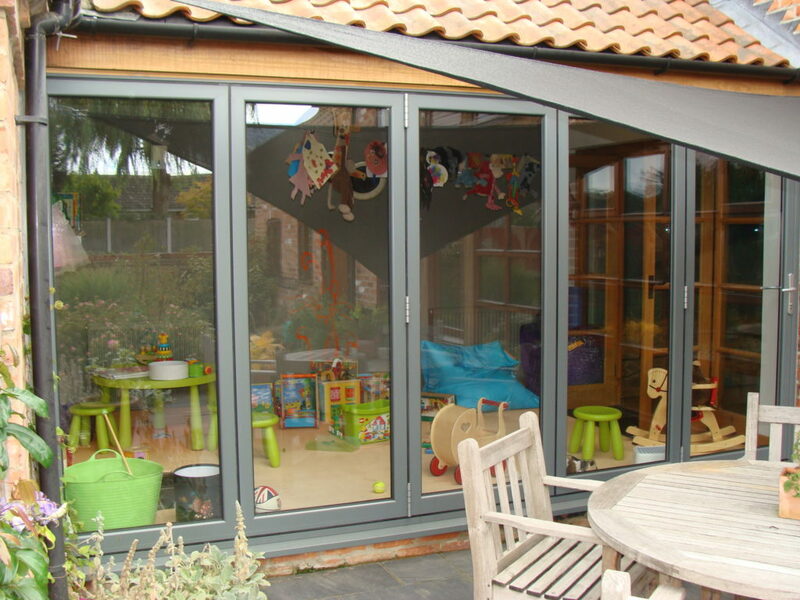 Our bi-folding doors come in a range of styles which are designed and built specifically for your home. All of our bi-folding doors are incredibly easy to operate and add a contemporary addition to any home, extension or new build project. These functional doors make a beautiful addition to any home old or new. A SHOWROOM VISIT IS HIGHLY RECOMMENDED AS WE SHOW 2 DIFFERENT TYPES. MAKE AN APPOINTMENT TODAY! Available in aluminium in a range of styles and colours including dual colour and bespoke RAL colour. Lever/lever handles, multi point locking, concealed and surface mount release handles available. Highly Thermally Efficient Double Glazed Units are fitted as standard. Acoustic, laminated and Sunguard options are also available. D&M also offer the beautifully designed Italian range of internal blinds.